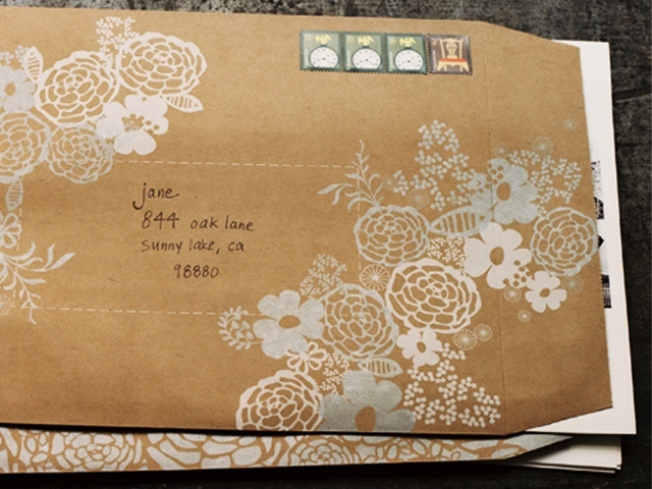 Pretty floral-print mailers from Oh Joy! SWEET & SOUR: Staten Island’s own Ingrid Michaelson has slowly but surely emerged as the wry indie-darling singer-songwriter of the oughts – and her new disc “Everybody” should cement her position, especially with songs like “The Chain” and “Maybe,” which we already have on repeat. $12.99 at Sounds, 20 Saint Marks Place; 212-677-3444. TO THE LETTER: Bittersweets NY’s take on name jewelry – part dog tag, part ID bracelet – features the naif stamped lettering that’s become the boutique’s trademark. Until September 3rd, get it at a special 20% off discount: The 14k gold necklaces are $280 (regularly $350) and bracelets are $200 (down from $250); the process drop lower in sterling silver. And they’ll write anything on there, as long as it’s 12 letters (or symbols) or less. Place your order here.